It is with great sadness that we mark the passing of Professor Fishman. Here is a link to two obituaries written by Ofelia Garcia and Ghil’ad Zuckermann. Joshua Fishman was founder of the study of the sociology of language, a spirited advocate of bilingual education in the USA and elsewhere, a sympathetic friend of all groups striving to maintain their ancestral languages, and a devoted Yiddishist. Born in Philadelphia PA on July 18, 1926, he was educated there in public schools, at Olney High School, in elementary, secondary, and tertiary level Yiddish schools and courses, and from 1944 until 1948, at the University of Pennsylvania where he earned BS and MS degrees. In the summer of 1948, he studied Yiddish, the language of his childhood home, at UCLA with Max Weinreich, the doyen of Yiddish linguistics, whose classic history of Yiddish he helped translate. His first scholarly publication appeared in Yidishe shprakh in 1947; two years later he received a prize from the YIVO Institute for Yiddish Research for a monograph on bilingualism which was later published. In 1951, he married Gella Schweid, maintaining their home as a Yiddish domain and making sure that their three sons and many grandchildren grew up speaking the language. For three years from 1951 to 1954, he was educational psychologist for the Jewish Education Committee of New York; at the same time he was studying social psychology at Columbia University, where he earned a PhD in 1953. For the next three years, he conducted research for the College Entrance Examination Board, at the same time teaching the sociology of language (disguised as social psychology) at City College. In 1958, he was appointed associate professor of human relations and psychology at the University of Pennsylvania, but two years later, moved to Yeshiva University as professor of psychology and sociology. He served there as Dean of the Ferkauf Graduate School of Social Science and Humanities. In 1966, he became Distinguished University Research Professor of Social sciences. From 1973 until 1975, he served as academic vice president. In 1988, he became professor emeritus and began to divide the year between New York (where he had also become a visiting professor at New York University and at the Graduate Center of The City University of New York, while still teaching psychology at Yeshiva University), and California where he became visiting professor of education and linguistics at Stanford University. Four festschrifts were published in his honor by colleagues and former students on his 65th birthday in 1991, each volume dealing with a different area of his specialized research, and a four day conference in his honor was organized at the Linguistic Institute of the Linguistic Society of America. In the course of his career, Fishman held visiting appointments at over a dozen universities in USA, Israel, and the Philippines and fellowships at the Center for Advanced study (Stanford), the East West Center (Hawaii) the Institute for Advanced Study at Princeton, the Netherlands Institute for Advanced Study, and the Israel Institute for Advanced Study. After a number of publications on educational testing, Fishman completed in 1964 his first major study of the sociology of language, Language Loyalty in the United States. A year later, he published Yiddish in America. Shortly after, he started work (with funding from the United States Office of Education) on the equally influential study of bilingualism in the New Jersey barrio completed in 1968 and published in 1971; among his colleagues were Robert L. Cooper and for a year John Gumperz. In the 1970s, while he was living in Jerusalem, he conducted a study of bilingual education for the US Office of Education. Also while he was in Israel, with a Ford grant and the help of Robert Cooper and others, he prepared a pioneering study of the spread of English. 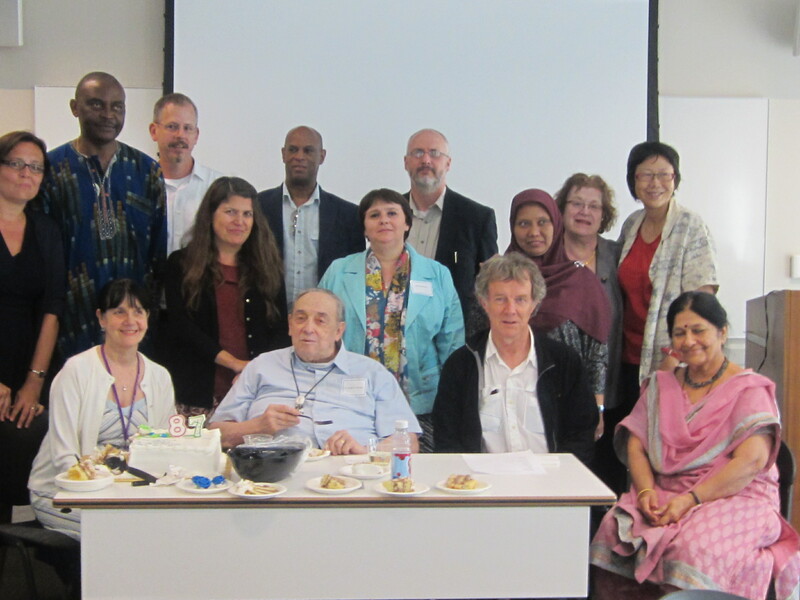 During this time, in cooperation with Charles Ferguson and a number of international scholars, he was working on what is still the only major empirical study of the effectiveness of language planning processes. In 1968, he published Language Problems of Developing Nations, the earliest major collection dealing with language policy and management. In the same year, he edited and published Readings in the Sociology of Language, a first attempt to define the new field. His prolific record of research and publication continued, amounting by now to some thousand items which have shaped and defined modern scholarship in bilingualism and multilingualism, bilingual and minority education, the relation of language and thought, the sociology and the social history of Yiddish, language policy and planning, language spread, language shift and maintenance, language and nationalism, language and ethnicity, post-imperial English, languages in New Yorkand ethnic, and national efforts to reverse language shift. Fishman is singularly open to inviting comments on his own work too. In 1991, he presented a complex and original theory of language maintenance and loss that has been widely accepted; ten years later, he updated his own theory and published comments and criticisms from sixteen international scholars with knowledge of the cases he had studied in 1991. Starting in 1973, he edited The International Journal of the Sociology of Language, which has published an impressive list of research in sociolinguistics and language policy. Paralleling the enormous contribution of IJSL to sociolinguistics has been the related book series edited by Fishman: over a hundred volumes published by Mouton now carry the “Contributions to the Sociology of Language” imprimatur. While conducting this impressive body of research, Fishman has spoken at conferences throughout the world and visited and encouraged the activities of those seeking to preserve endangered languages. He will be remembered by the Maoris of New Zealand, the Catalans and Basques of Spain, the Navajo and other Native Americans, the speakers of Quechua and Aymara in South America, and many other minority language groups for his warmth and encouragement. 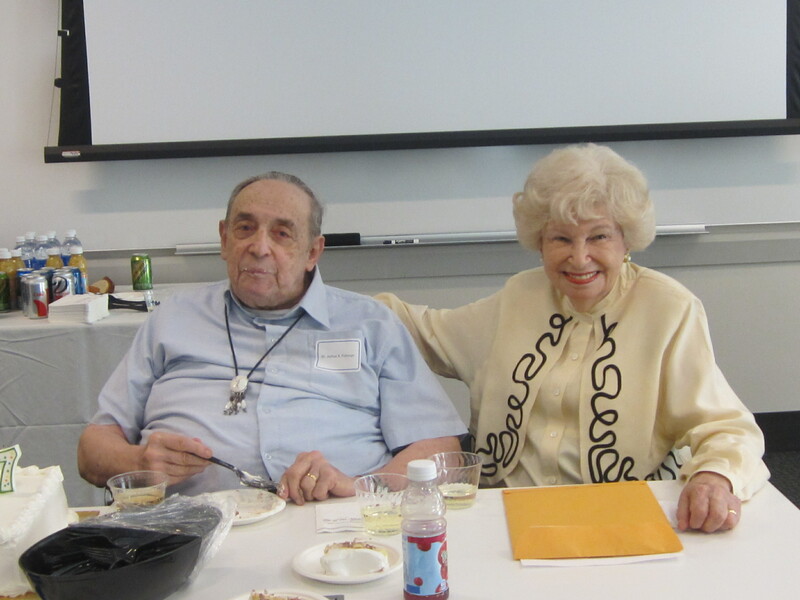 Together with his wife Gella Fishman, he has established the extensive five-generational “Fishman Family Archives” at Stanford University library, including his correspondence, course notes and outlines, lecture notes, manuscripts of his books, and papers and recordings of his talks. His work is distinguished by the meticulous and exhaustive analysis of large bodies of data collected in major surveys using the methods of sociology, and more recently, it has also demonstrated exhaustive elucidation and interpretation of archival material. For a quarter-century, he has written a column on Yiddish sociolinguistics in every issue of the quarterly Afn Shvel. He also wrote regularly on Yiddish and general sociolinguistic topics for the weekly Forverts. His most recent books have been Can Threatened Languages Be Saved?, Introduction to Test Construction in the Social and Behavioral Sciences: A Practical Guide, DO NOT Leave Your Language Alone: The Hidden Status Agendas Within Corpus Planning in Language Policy, and the Handbook of Language and Ethnicity. 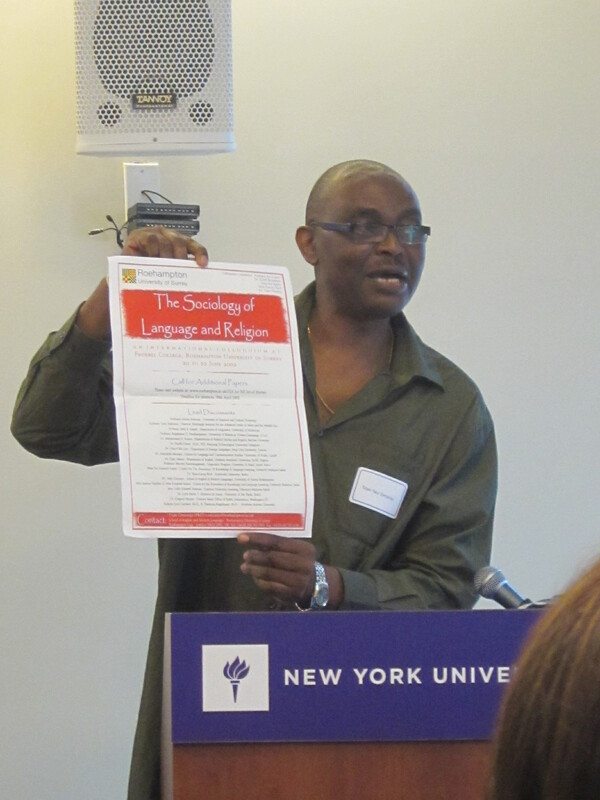 His scholarly work with minority ethnic groups and with others engaged in the struggle to preserve their languages, cultures, and traditions has been inspired by a deep and heartfelt compassion that is always sustained the markedly human tone of his most objective scholarly writing.